John B. “Jack” Grannell, 77, Holton, died Saturday, Nov. 17, 2018, at his home. He was born Dec. 22, 1940, at Holton, the son of Guy and Adeline Kelly Grannell. Mr. Grannell served with the U.S. Army Reserve for eight years. He worked as a carpenter for four years and then for Fretoes Asphalt Company for two years. He then worked seven years for Jackson Farmers Coop and 32 1/2 years for the Jackson County Road and Bridge Department, retiring in 2003. 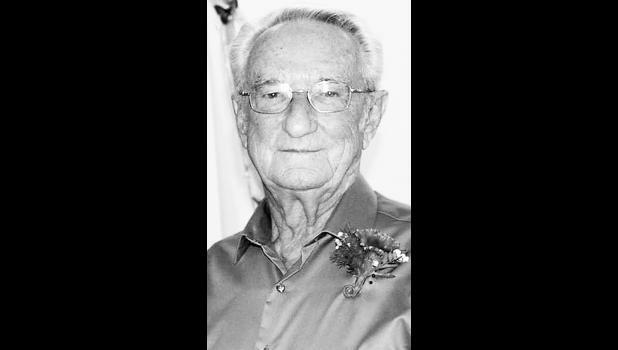 He was a member of Netawaka United Methodist Church and also served as a trustee at the church. He had played the drums for a country-western band called “Midnight Special” for 16 years. He married Verona Abel on Aug. 24, 1962 at Holton. She survives. Other survivors include a daughter, Karla Raye Grannell and spouse Susie Blacketer-Grannell, Holton; two sisters, Pat Krogman, Holton, and Anna Jo Hallauer, Hiawatha; two grandchildren, Jamie Askren and wife Natasha and Kasey Miller; and three great-grandchildren, Emma Kay Bellinghausen, Kara LaRae Miller and Jaxon Eugene Miller. He was preceded in death by his parents; a daughter, Darla Kay Bean; and a granddaughter, Ashlynn Nicole Bean. Funeral services will be held at 10 a.m. Wednesday, Nov. 21 at Netawaka United Methodist Church. Burial will follow in Netawaka Cemetery. Mr. Grannell will lie in state at Chapel Oaks Funeral Home in Holton, where family and friends will meet from 6 p.m. to 8 p.m. Tuesday. Memorial contributions may be made to Holton Community Hospital Hospice, sent in care of Chapel Oaks Funeral Home, P.O. Box 1034, Holton, KS 66436.